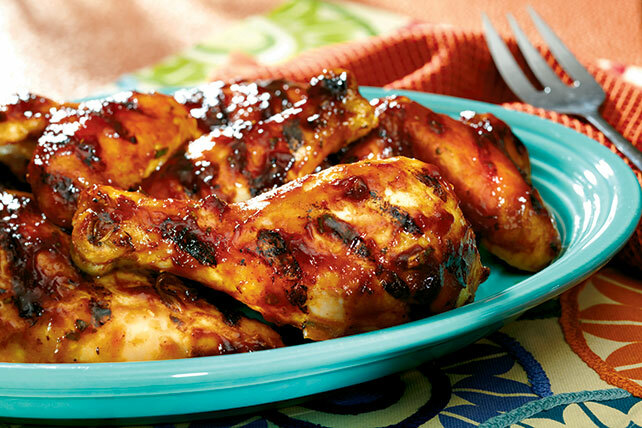 Prepare the family for great flavors with this video for Memphis-Style Sweet and Spicy BBQ Chicken. Memphis-style chicken is barbecue done right. Trim and discard excess fat from chicken. Grill 10 min. on each side. Meanwhile, mix remaining ingredients until blended. Brush chicken with half the barbecue sauce mixture; grill 10 min. or until chicken is done (165ºF), turning and brushing occasionally with remaining barbecue sauce mixture. Serve with smart sides, such as a hot baked potato and your favorite steamed fresh green vegetable.